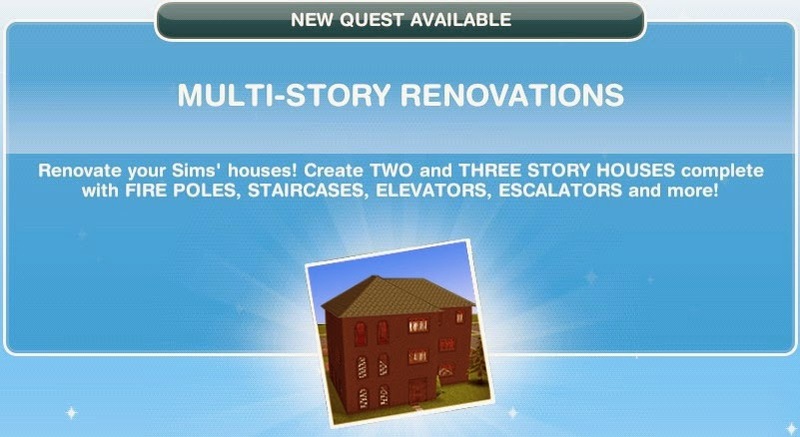 Multi-Story Renovations: Unlocked at Level 17 to unlock the ability to add additional stories to your Sims' Houses. (This quest is a requirement for the DIY Balconies discovery quests!). This is a time-limited quest-line, you're given 6 days (5 days 23 hours remaining at the start). Reward: Elevators & Escalators pack. (Available in Online Store if you did not finish in time). Please note that the times for certain objects may vary, they depend on the quality (star level). Also note that the times (especially those with Wumples) have changed with various updates, however, I have been unable to collect the correct times. (A dedicated woodworking area is upstairs! Your Sim isn’t interested in ‘practicing’ woodworking, they want to carve something super special! Get an adult Sim to carve their magnum opus on a woodworking bench! 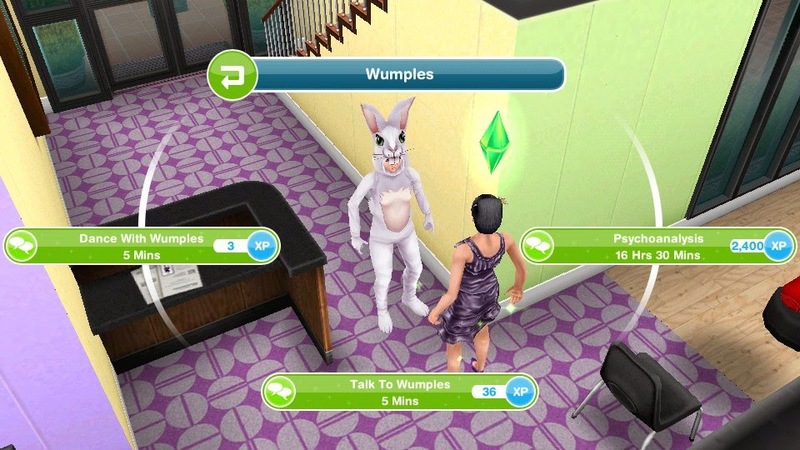 (During the counselling session with a stranger in a bunny costume your Sim had an idea. It has something to do with wood and floors. (You have an email from the Home Store! It says, ‘We need your help. We're missing the woodworking items from the 1st SET of WOODWORKING COLLECTIBLES. 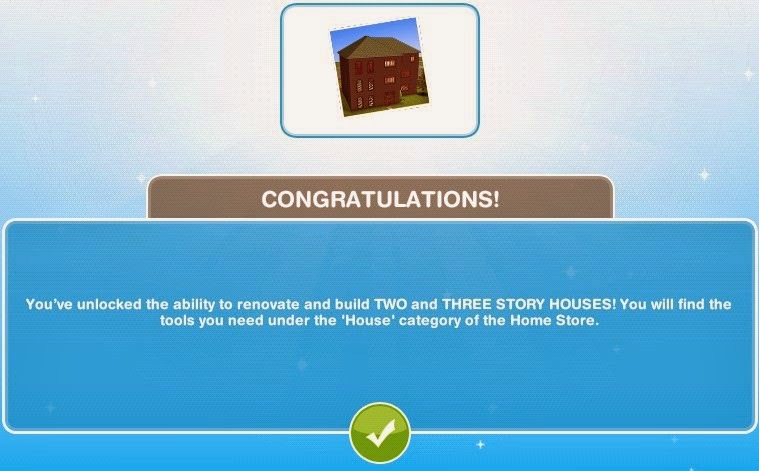 You’ve unlocked the ability to renovate and build TWO and THREE STORY HOUSES! You will find the tools you need under the 'House' category of the Home Store. 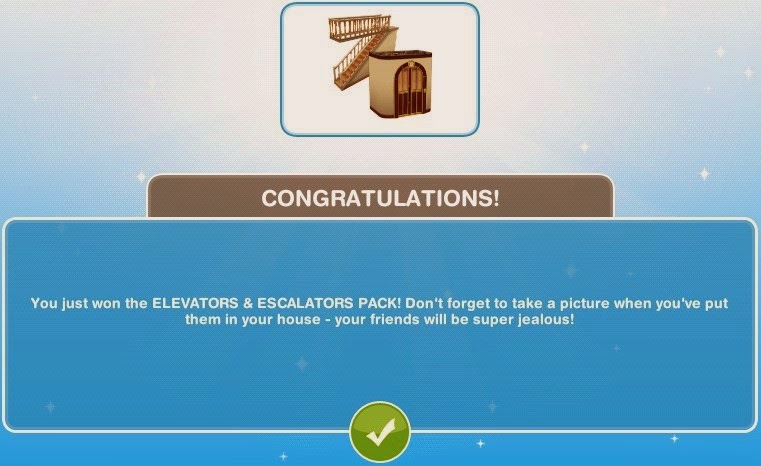 You just won the ELEVATORS & ESCALATORS PACK! Don't forget to take a picture when you've put them in your house - your friends will be super jealous!